We’ve covered Hawkesmill England’s luxury camera bags before. The company makes high-end bags from quality materials that we would not be ashamed to wear around New York City or London. 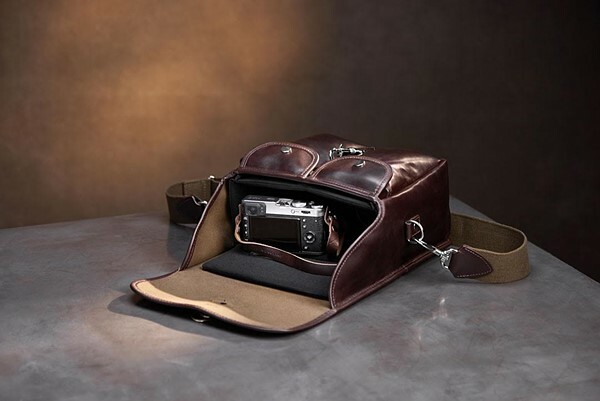 The company’s newest line of luxury camera bags were designed for the consumer who shoots with a mirrorless camera or a smaller DSLR with a single lens attached. The bags are made from high-end materials like Scottish Harris Tweed and triple layered waterproof canvas. They feature a dual d-ring closure and trigger hook system to hold equipment securely. Unlike the larger bags, the smaller bags only really have space for the camera and perhaps personal documents like a passport, extra memory cards and money. The bags come in five different models; an all-black Bond Street, olive Jermyn Street, an all-leather Regent Street, the all-canvas Marlborough and another all black body with charcoal Harris Tweed called Sloane Street. While Hawkesmill lists their prices in Euros, they do ship the bags worldwide. So, U.S. customers can purchase one if they desire.